Prophet Muhammad sallallaahu `alayhi wa sallam ( may Allaah exalt his mention ) was a perfect model of modesty and humbleness. He sallallaahu `alayhi wa sallam ( may Allaah exalt his mention ) never spoke loudly or in an unseemly manner. In the market, he always passed by the people quietly with a smile. Whenever he heard anything undesirable in an assembly, he did not say anything out of respect for the people, but the color of his face showed his feelings and the Companions became cautious. `Aa’ishah may Allaah be pleased with her said that she never saw Allaah's Messenger sallallaahu `alayhi wa sallam ( may Allaah exalt his mention ) laughing so that she could see his molar teeth, for he only used to smile. Islam emphasises that one takes care of one’s self physically by maintaining, for example, cleanliness, dressing properly and eating that which healthy and beneficial. Similarly, it emphasises taking care of one’s self internally by beautifying one’s own moral conduct i.e. aiming and acting upon a high standard of character. A comprehensive and graceful account of the noble qualities, merciful disposition and distinctive traits of the 'prophet's character has been left by Hind b. Abi Hala. He says: Whatever he said, it was always explicit and in plain terms. His speech was never long-winded nor unnecessarily concise. He was kindhearted and soft-spoken, never harsh or cool in his behaviour. Neither he humiliated anyone nor himself liked to be treated with disrespect. The' Prophet set much by every provision; even if it was small in quantity he never deprecated it. 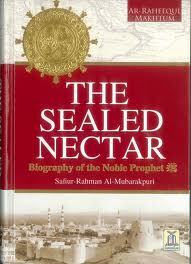 Muhammad struggled all his life, to his utmost ability and power, to achieve his objective. He was born an orphan and his mother and grandfather died during his childhood. He earned the good reputation of an honest and truthful person by his hard and constant effort. He was raised to Prophethood at the age of forty and, within a few years, he was able to convert hundreds of people to Islam through his perseverance in Makkah. When he died, at the age of 64, hundreds of thousands of illiterate and ignorant Arabs had seen the Light of Islam. 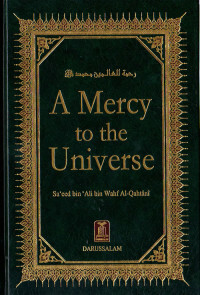 The holy Prophet had an excessive zeal for devotions to God, his uninterrupted communion with the Lord took the shape of extensive orisons and vigils, supplications and lamentations and his indifference to the world surpassed the abstinence of hermits and ascetics but he was never wanting in sympathy and compassion, courteous and mannerly behaviour to one and all; nor was he ever lacking in restoring justice to one whon1 it was denied or in bidding welcome to everyone according to his status and position. Muhammad was very modest and shy; in fact, he was a perfect model of modesty. It is narrated by many of his companions that he was more modest and bashful than a maiden. He never spoke loudly or in an unseeming manner. When he went shopping in the market, he always passed by the people quietly with a smile. When he heard anything undesirable in the assembly; he did not say anything out of respect for the people, but the colour of his face showed his feelings and the companions would become cautious. The Apostle of God occupied himself at his home like a common man. As 'Aisha relates, he used to clean his clothes, milch the sheep and himself do his odd jobs. She also says that he would mend his clothes, repair his shoes and do similar other works. When asked how the Prophet occupied himself at home, she replied, "He used to keep himself busy in household chores and went out when the time for prayer came."